More this year than ever, much of my work involves reading. In addition to the book reviews I write and edit for The Seattle Times and The Cascadia Subduction Zone, I’m putting together two anthologies. Simultaneously. One is composed of reprints: “The Year’s Illustrious Feminist Science Fiction and Fantasy.” But “Stories for Chip: A Tribute to Samuel R. Delany” is meant to include mostly original prose, and reading those submissions has at times been…unpleasant. So I’ve taken frequent refuge in rereading books I know from past encounters will afford me great, if sometimes guilty, pleasure. Comfort reads. My first retreat into familiar literary waters was a couple of weeks spent rereading Dorothy Sayers’ Lord Peter Wimsey books. This is, I think, my fourth go round with them. If you know the delights of dallying with this parfit gentil knight, you know how like a good soak and loofah-scrub my self-indulgence was. My mind positively glowed. I then succumbed to Georgette Heyer’s Regency novels, ably assisted by Jo Walton’s Tor.com essays on their strengths and weaknesses (http://www.tor.com/blogs/2012/03/how-i-stopped-worrying-and-learned-to-love-romance is a good introduction to these). Next I went through my shelfful of Dorothy Dunnett’s Dolly mysteries--not to everyone’s taste, I know. Then I seized on Austen--but limited myself to three of her six complete novels: Mansfield Park, Northanger Abbey, and Persuasion. Mansfield Park has long been my favorite Austen, despite other Jane-ites’ disdain for the do-nothingness of its heroine, Fanny. My last retrospective consisted of four of Angela Thirkell’s Barsetshire novels: The Headmistress, Pomfret Tower, The Brandons, and Before Lunch. Set in Victorian author Anthony Trollope’s fictional countryside, these early 20th century chronicles of the vanished mundanities of Britain’s rural upper class fascinate me. The characters’ niggling worries about the order of precedence observed on entering their dining rooms, their proclivities for baths, their absurd vanities of dress and ridiculous (to me) concerns about the very slightest increments of upward mobility vouchsafed by maidservants and butchers, all distract me quite effectively from my own very different problems. Of course books are like rivers, and you can never enter the same one twice. Along with the deep and genuine comfort these rereads afforded me, I partook of at least attempted professional analysis. Why did I like Mansfield Park best? How did Sayers convey the physical sensations of being drawn unwillingly into love? Which minutiae of the daily life of English gentry held the most interest for me, and which the least? You’ll likely have noticed all of the above-mentioned authors are female. And white. These factors figure into my critiques of the racial and gender politics of my mental comfort food, as I compare my former lack of dismay over the calypso club antics of Dunnett’s hero Johnson Johnson with my current annoyance at his arrogant and privileged behavior. Or my earlier acceptance of Thirkell’s “spoiled” heroine Elsa Belton’s climactic self-effacement before her fiancé’s assumption of superiority, and the unease it now raises in me. There are a few lumps in the gravy, a couple of springs poking against the upholstery of the literary (not literal) couch on which I’ve reclined. My last recommendation is a new story by a black man which didn’t comfort me at all, but which I found so excellent in every way that I offered to stand by the phone to field calls of distress from readers I pointed it out to. “The Devil in America,” by Kai Ashante Wilson, depicts this country’s legacy of racial violence both supernaturally and supernally. It was published at Tor.com on April 2. Its author attempts something I’ve never had the courage to try. In my opinion he succeeds, and he deserves to win All The Awards. Every. Single. One. Go to http://www.tor.com/stories/2014/04/the-devil-in-america-kai-ashante-wilson and see what I mean. Nisi Shawl is the author of Filter House, which won the James Tiptree Jr. Award and was nominated for the World Fantasy Award, Something More and More, her WisCon GoH collection, and, with Cynthia Ward, the co-author of the celebrated Writing the Other: A Practical Approach, and the editor of The WisCon Chronicles, Vol. 5: Writing and Racial Identity, all of which are published by Aqueduct Press. 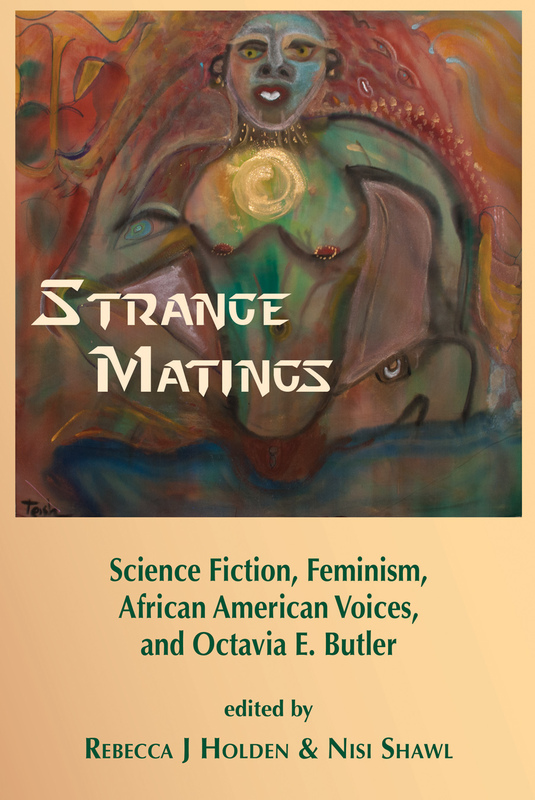 Last year Aqueduct Press published Strange Matings: Science Fiction, Feminism, African American Voices, and Octavia E. Butler, which Nisi co-edited with Rebecca Holden. She reviews science fiction for the Seattle Times, is a member of the Clarion West board, teaches writing workshops at Centrum in Port Townsend, WA., and is the reviews editor of The Cascadia Subduction Zone.